It’s not uncommon for a musician to record more work than they release. In my case I have a digital ocean of snippets in various degrees of completion. Some are leftovers from assorted project recording sessions, projects that were never completed, sound check jams, demo snippets, etc. There are enough lonely unreleased notes in my world to fill an “infinity shelf.” VaiTunes are tracks that are culled from this melodic abyss, brushed off, sometimes severely hosed down, and released as digital singles. These tracks may be specific to a particular project that has never had the chance to be a completed big picture, but now, with the advent of all this digital technology and distribution, it’s possible to release a variety of tracks from a potential project without having to complete the whole project itself. Eventually, if there is enough tracks completed that fall into a precise endeavor, perhaps they will be compiled and released as a cohesive CD. In any event, it’s a good way to release a constant stream of music. Although the plan is to continue to create whole, full-bodied CD releases,VaiTunes can serve as temporary pacifiers for some delectable melodies to be sucked through the ears and absorbed into the soul. VaiTunes are available from all major digital music retailers, including iTunes,Rhapsody, Napster, eMusic, Amazon MP3, Lala, IMVU, Shockhound, Amie Street, LimeWire Store and the Nokia Music Store. Visit the VaiTunes page on Vai.com to read more about the release. 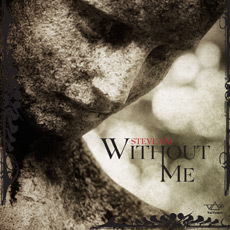 You can download the “Without Me” digital booklet (PDF format, 1.8MB) for freeright HERE.